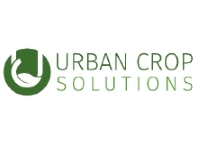 Urban Crop Solutions envisions to become the global independent reference of the fast-emerging vertical farming industry. Urban Crop Solutions creates fully automated indoor farming systems using LED lighting that are both efficient and effective under any given climate conditions. As a company Urban Crop Solutions focuses not only on development and production of these systems, but also on biological & plant technical research to relentlessly improve the Urban Crop Solutions growing systems and to provide customers with the best technology in terms of LEDs, substrates, nutrients and seeds. Urban Crop Solutions offers turnkey, automated indoor vertical farming systems, built according to your needs, namely the PlantFactory and also delivers, as a secondary product line, standard growth containers, the FarmFlex and FarmPro. Are you interested or you would like to receive more information? Click on the button below and fill out the form. Urban Crop Solutions was awarded on Thursday evening October 26th the FoodNexus Innovation Award. Out of many innovative companies a jury of experts in the agriculture and food industry selected Urban Crop Solutions as the most promising company in the Belgian agri-food industry.Urban Crop Solutions is going to the European FoodNexus competition, an event in Wageningen (the Netherlands) on December 13th. FoodNexus is a consortium of international food companies and knowledge institutions which contribute to the European Food System. As an innovative and progressive retail company Albert Heijn, member of the global retail group Ahold Delhaize, is always seeking to work with partners using the most advanced cultivation methods, for the benefit of their customers. Three days Urban Crop Solutions (UCS) teamed up with Albert Heijn and Bakker Barendrecht. This confirms our view that our solutions will definitely be part of the solution to meet with the ambitions of our partners to supply their customers daily with fresh and healthy food. Urban Crop Solutions was awarded the Public Choice Award at the European finals of the FoodNexus Challenge on Wednesday evening December 13th. Fifteen companies from 8 different European countries were competing during a three day event in Wageningen (NL) for the European FoodNexus Challenge Award. The expert audience consisting of academic, corporate and venture capital people selected Urban Crop Solutions during a live closing event. More than 300 people were able to vote at the end of the event for the Public Choice Award.